Self-esteem can be defined as the way you look at yourself, an assessment of your own worth as an individual. Low self-esteem by and large stems from unpleasant experiences from the past, some of which could have occurred during childhood and continued into adulthood as well. It should be noted that though one’s comfort zone would seem like the perfect cocoon, it can get monotonous and tedious over time, because it provides a false sense of security. Growth comes with moving out of the comfort zone to try new things. Change, though sometimes daunting, enables an individual to grow and succeed, and gain self-confidence too in the process. But to bring about change and be successful, it is important that you constantly push and challenge yourself, face your fears, and more importantly step out of the comfort zone. 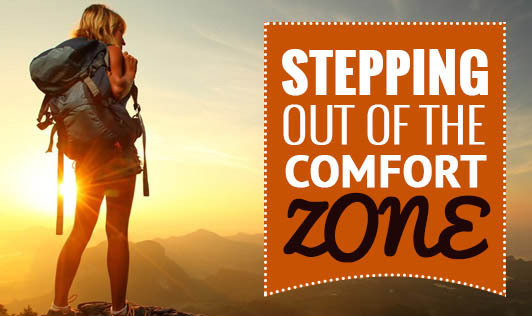 Stepping out of the comfort zone and venturing out implies that there might be discomfort of some kind, but it is a step towards ridding yourself of those fears. Remember, that change doesn’t happen overnight. It is a slow and gradual process, one that concedes in victory and happiness. It is important that as a person goes through these fears, he or she celebrates the victories for doing so. The more that pleasure and positive feelings are associated with risking, the more someone will be inclined to risk again. Take that first step out of the cocoon and see the difference.